A lot of people don’t like dental work because they believe it will be painful or uncomfortable. There’s an anatomical reason to back up that concern — the mouth with its dense network of nerves in the teeth and gums is one of the most sensitive parts of the human body. But modern dentistry has helped solve much of the problem of pain with advances in local anesthesia. Using substances that temporarily block electrical impulses within the nerves of a selected area of oral tissues, there’s a good chance you’ll feel little to no discomfort even during moderately invasive procedures. Unfortunately, you might have heard some complaints from others about local anesthesia that might make you wary of it. Many of these complaints, however, aren’t fully based on all the facts. So, let’s set the record straight about local anesthesia and what you can expect. No need to be afraid of needles. Nobody enjoys the painful prick from an injection needle, and some people are highly fearful of them. But although it’s necessary to use a needle to deliver anesthesia to deeper levels of tissue, it’s possible you won’t feel it. That’s because we’ll typically apply a topical numbing agent to the skin surface that deadens the top layers where we insert the needle. That numb feeling afterward won’t last long. One of the chief complaints in the past about local anesthesia was the irritating numbness that could long linger after a procedure. Today, however, with more advanced anesthetics and formulae, we’re better able to gauge the duration of the medication’s effect. This has greatly reduced the length of time afterward your mouth might have that awkward numbing sensation. Anesthesia isn’t necessary for every procedure. 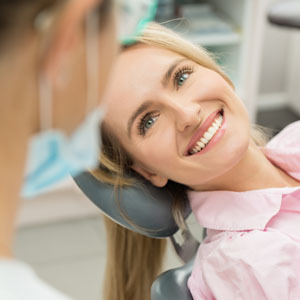 Unless you have hypersensitive teeth, a lot of dental procedures don’t require anesthesia. Your enamel, for example, has no nerves and actually serves as a kind of “muffler” for sensations to lessen their effect. Cleaning your teeth or removing portions of the enamel can normally be performed without the need for numbing medication. For procedures, though, where pain could be a factor, local anesthesia can make all the difference in the world. In these cases, anesthesia is your friend — it can help you receive the dental care you need without the discomfort. No one wants to experience pain when they go to the dentist. However, are you aware that anesthesia is beneficial to both you and your dental professionals? It enables us to concentrate on doing our best work with the assurance that you are perfectly comfortable. In fact, local anesthesia has literally revolutionized pain control; it is one of the most effective tools in dentistry and medicine. But before we continue, let's cover a few of the basics. “Anesthesia” (“ana” – without; “esthesia” – sensation) literally means without feeling or pain. “Local” refers to the site at which the anesthesia is used, in other words, where the action (and pain relief) is needed. Local anesthetics come in two varieties: topical and injectable. We use topical anesthetics to numb just the top surface of the gums or oral lining surfaces of the mouth to provide surface comfort during procedures such as a superficial teeth cleaning. We apply them in a variety of ways: with a Q-tip, cotton swab, adhesive patch or a spray. Most importantly, we use them before administering injections (shots) so you don't feel a thing. Injectables deliver medication though a needle that will briefly block the sensation of pain from the teeth, gums and bone. They accomplish this by temporarily blocking the conduction of electrical impulses along the nerves that supply the gums and teeth with feeling so that you can be treated comfortably. They are especially important for treatments such as filling a deep cavity, tooth cleaning or extraction, or for gum surgery. So which anesthesia is right for you? Depending on the type of treatment or procedure we are performing, we will select the most suitable anesthetic. However, if you normally feel anxious about your dental visits, please let us know this in advance when scheduling your appointment. Having this knowledge in advance, we can ensure that your experience is free of both anxiety and pain — a result that will make both of us happy! To learn more about this topic, continue reading the Dear Doctor magazine article “Local Anesthesia For Pain-Free Dentistry.” Or you can contact us today to schedule an appointment to discuss your questions.